On Friday, we mailed out invitations to our fall Discovery Day, Visions and Near and Far events – they should hit your mailboxes any day now. We hope you will be able to join us on either one of these days or for a traditional information session and tour sometime this fall. For details and registration information (required for all sessions and events), surf over to our Undergraduate Admissions Visit webpage. 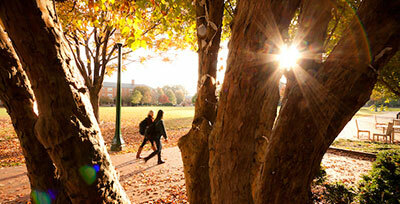 We love sharing with you the terrific things happening in our Center for Global Programs and Studies. I strongly encourage all prospective students and families to spend time on their website where you will find a great deal of information on our study abroad opportunities, international minors, Worldwide Wake and more. 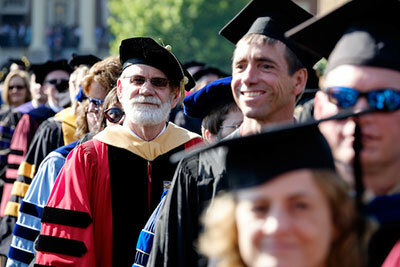 They recently produced a short one minute video which captures the excitement generated by some of their programming. Check it out! 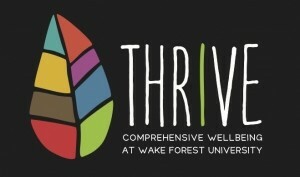 The campus-wide kick-off of “Thrive: A Comprehensive Approach to Wellbeing” will take place here on Friday, September 5. An event for all Wake Forest University faculty, staff, and students, it will feature a festival designed to inform and inspire the campus community to think differently about their personal approach to wellbeing. Light-hearted activities involving puppies, a labyrinth, and hundreds of three-foot tall leaves will help the campus community consider serious topics such as financial planning, work satisfaction, intellectual engagement and spirituality. At the center of the event, a 90-foot long, three-dimensional, leaf-shaped installation will represent Wake Forest’s holistic approach to wellbeing. 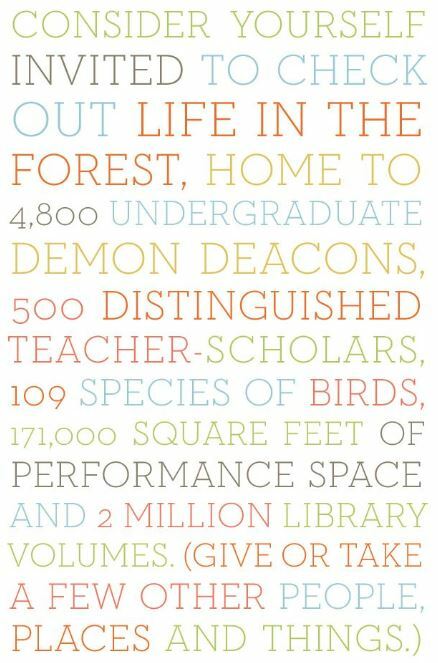 Committed to the tradition of educating the whole person, Wake Forest has always promoted a culture of health and wellbeing. I confess to playing my share of table tennis matches against colleagues on Hearn Plaza and to listening to friends play on our outdoor piano steps from the arch but a few feet away. It’s not all “Work Forest” around here … not at all. 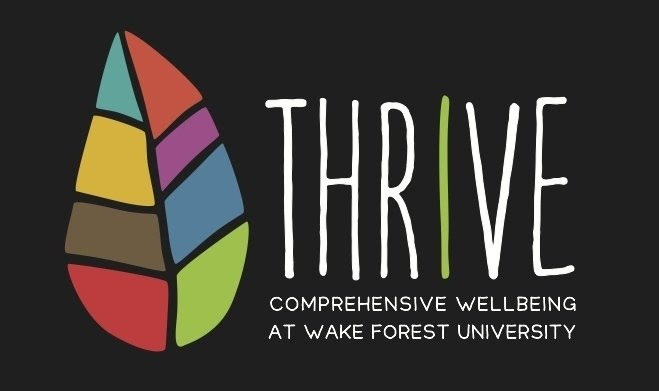 To learn more about wellbeing initiatives at Wake Forest, visit our Thrive website. 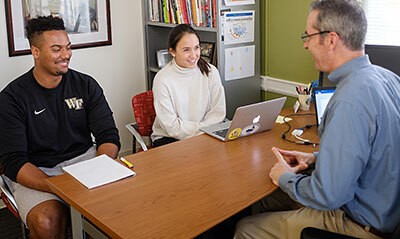 While our students only just arrived back to campus and began classes some ten days ago, others here at Wake Forest have been busy all summer long working on enhancements to our website. 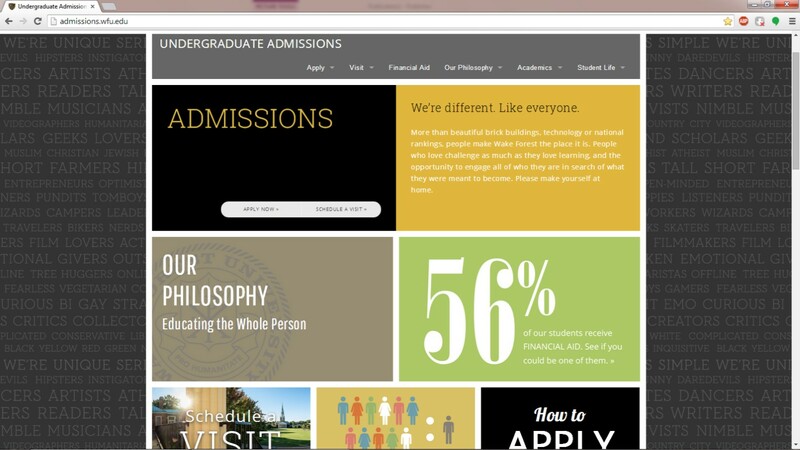 Thanks to the efforts of a remarkable group of creative minds, we launched our new Wake Forest University Undergraduate Admissions website last week. 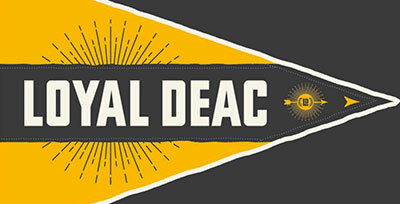 From the basics on how to apply for admission to in depth profiles of Wake Forest students to wonderful videos highlighting our commitment to undergraduate teaching and scholarship, the website offers a comprehensive look at all that Wake Forest and our community have to offer. 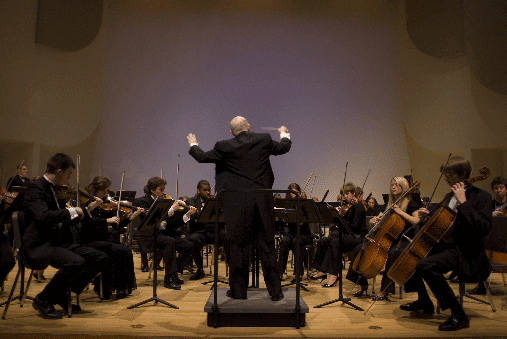 I encourage you to pay the site a visit and also welcome feedback via comment.